Made to Order: By Size, Color, and Material. Please allow 10-14 business days for production. (9″ x 12″ Canvas or Laminated Nylon in select colors are in-stock only). Secure: Combination Keyed Lock or Standard Locks. FREE Imprinting Available on Orders over $500: 1 color imprint. Contact us for details. Volume Purchase Discount: Contact Us on orders over 250 bags – terms and pricing incentives. The locking security bags can be used for safely handling cash, currency, or valuables. Our locking security bags work for any business or organization. We have many options to choose from including size, fabric, color and locks. If you have a question on fabric or lock choice for your bags check the tabs below to get a full description. 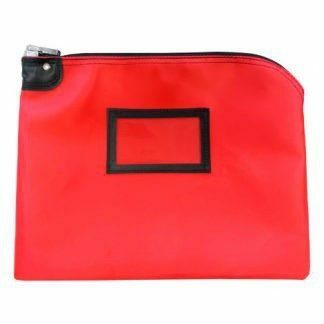 These locking security bags are Made to Order to your specific requirements. We can ship a made to order product in 10 to 14 business days from confirmation of order. FREE Imprinting Available on Volume Orders! Please call or email for details.